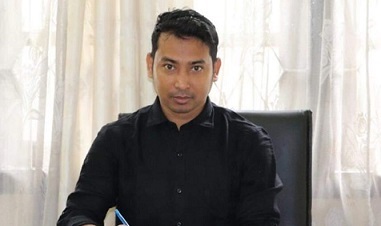 In the wake of tumbling out of new skeletons and arrest of Government officers for involved in the multi-crore Assam Public Service Commission (APSC) cash-for-job scam, the resignation of Assam Civil Service (ACS) officer Karpun Patir from the post of District Election Officer, Udalguri, has been the talk of the town now. Sources revealed that the bureaucrat, whose name had figured in the list of ‘tainted’ officers in the infamous APSC cash-for-job scam submitted his resignation before the Udalguri Deputy Commissioner on August 19 last citing ill health of his mother Sumitra Patir, a former Minister during Congress regime, who joined the BJP in April this year. The bureaucrat, who secured job in 2015 during the last innings of the Congress Government allegedly got the job through political influence of his mother, who was then a Minister of State with Independent charge. during Rakesh Pal’s tenure as the APSC chairman. Only time and proper investigation will reveal the facts. It may be mentioned Sumitra Patir’s elder son, Jawahar Patir, is a Sales Tax Inspector and younger son Minakshi P Patir is an ACS officer. Sumitra Patir’s daughter-in-law Geetali Doley, who also served as an ACS officer at Gogamukh in Dhemaji district, was arrested by Dibrugarh Police for being involved in the cash-for-job scam. Jailed Geetali Doley has already been discharged by the State Government from her duty. despite repeated attempts, Karpun Patir couldn’t be reached for his comments.